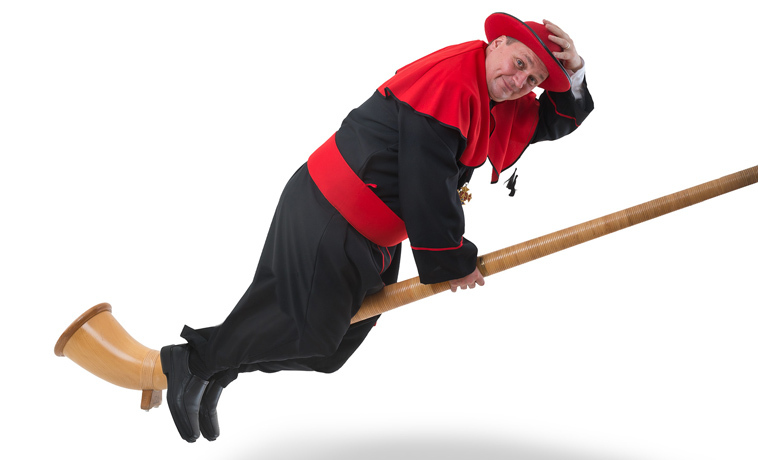 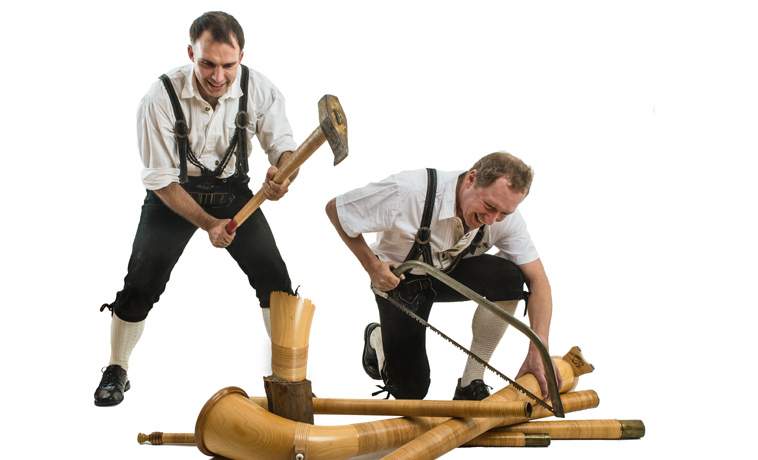 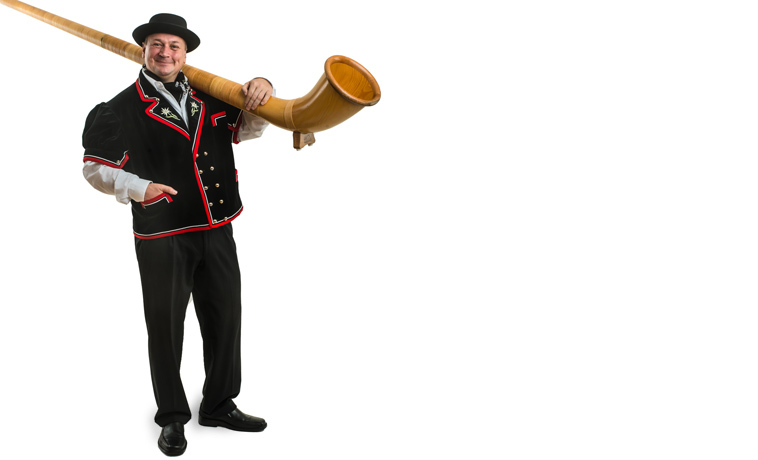 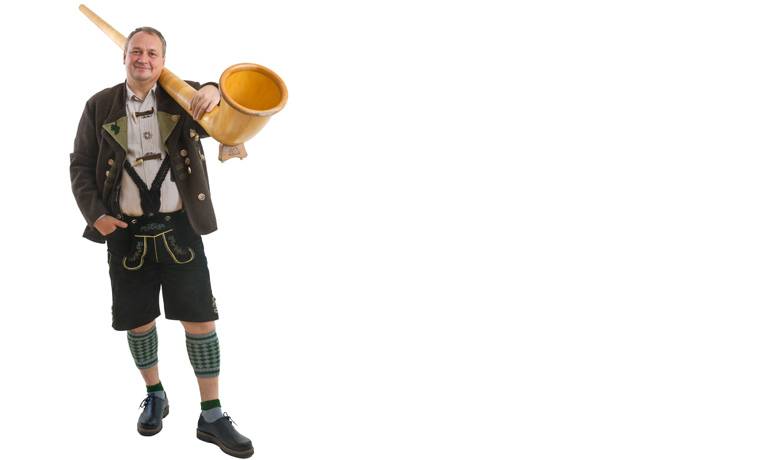 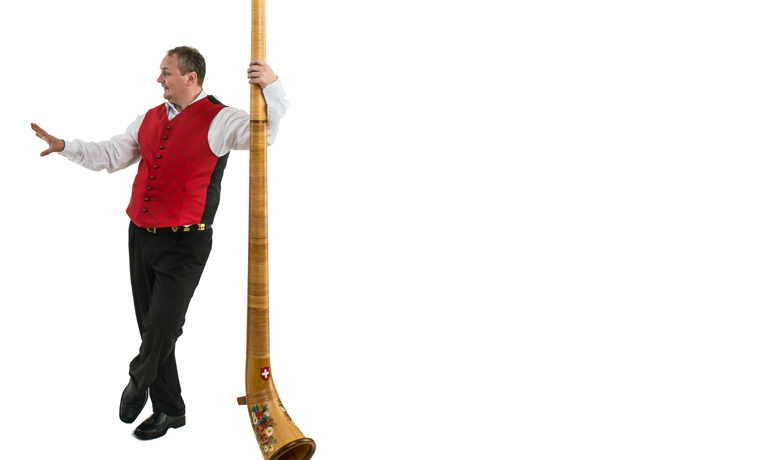 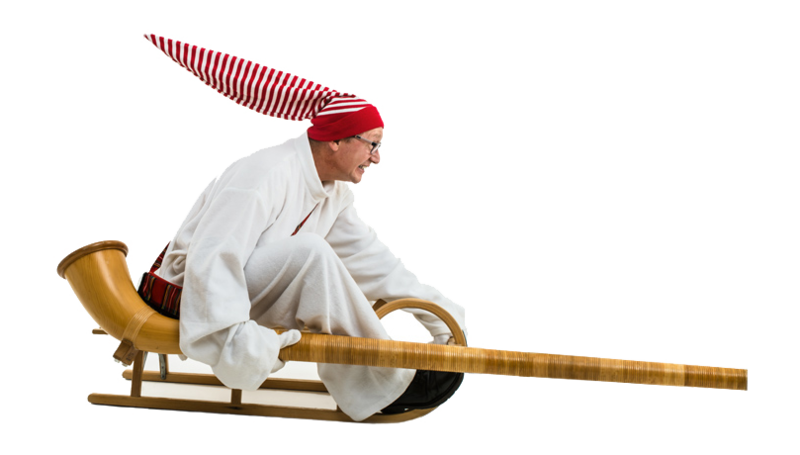 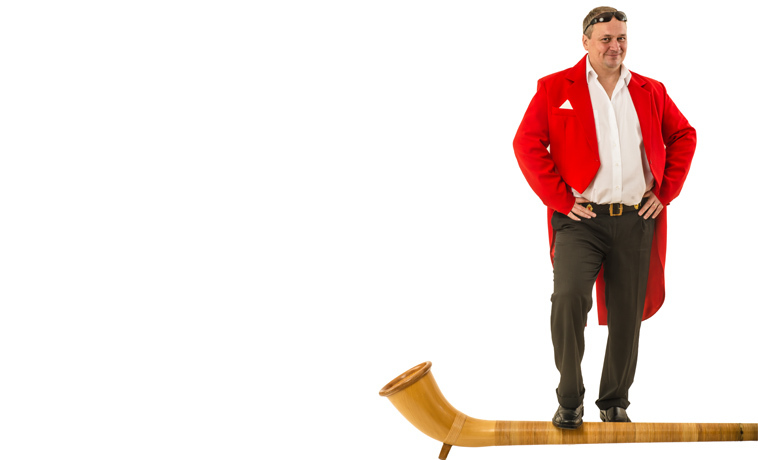 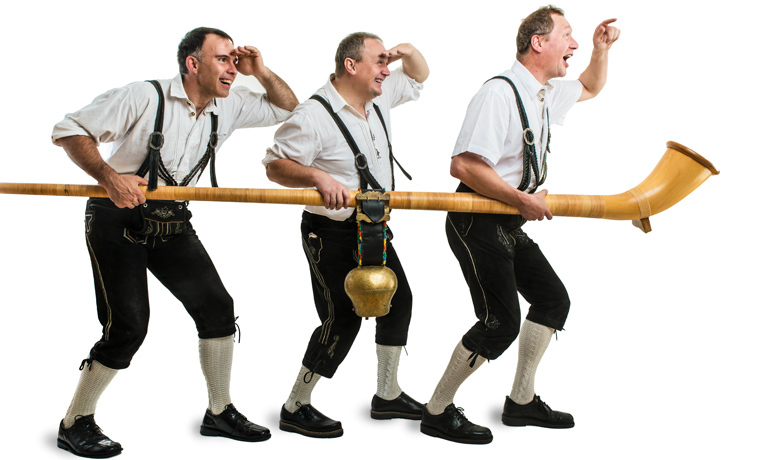 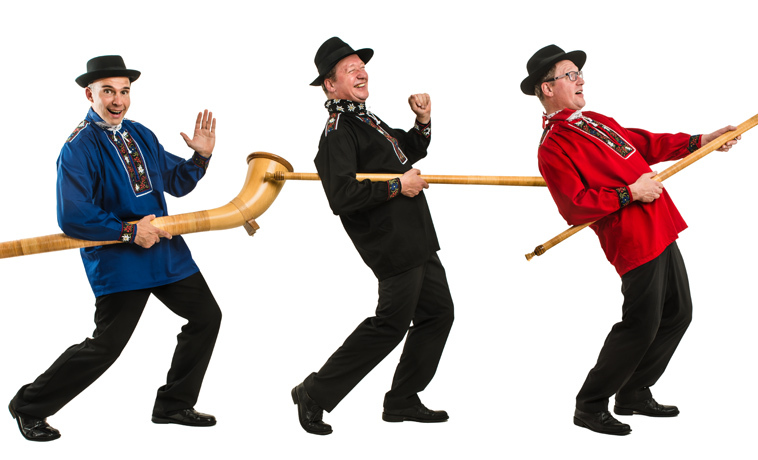 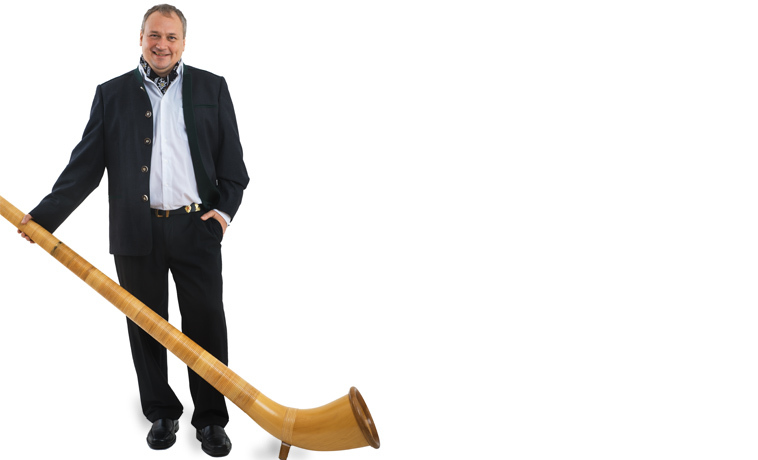 AlphornVirtuos is the professional partner for all your alphorn entertainment requirements. 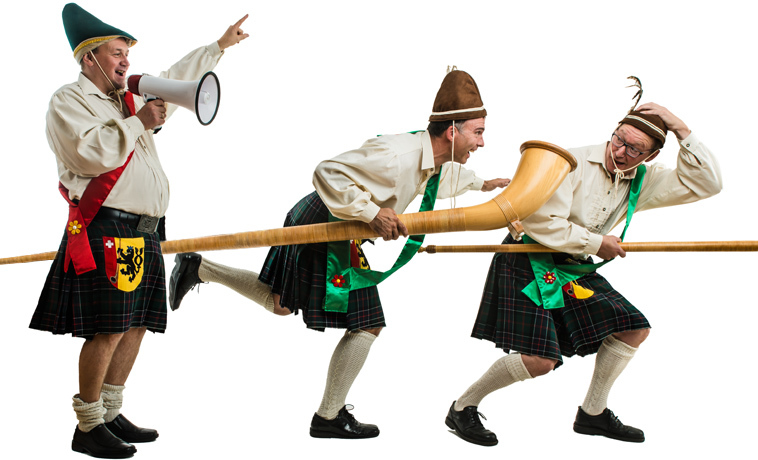 Courtesy of our rich programme, we can guarantee a musical and visual performance designed to present your company, organization, or event in exactly the right light. 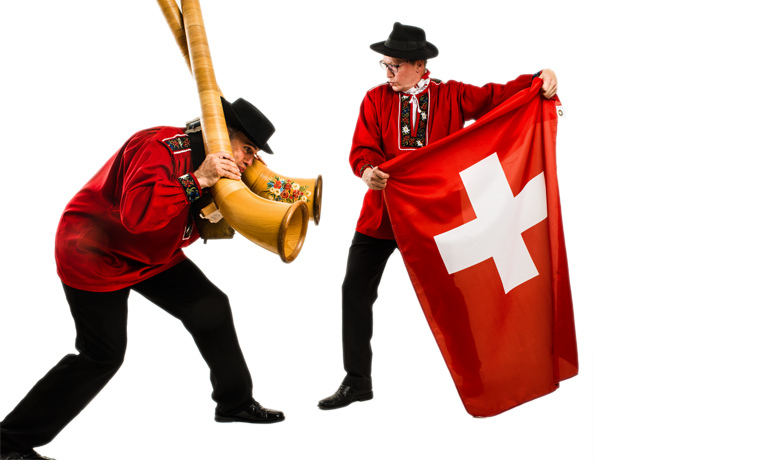 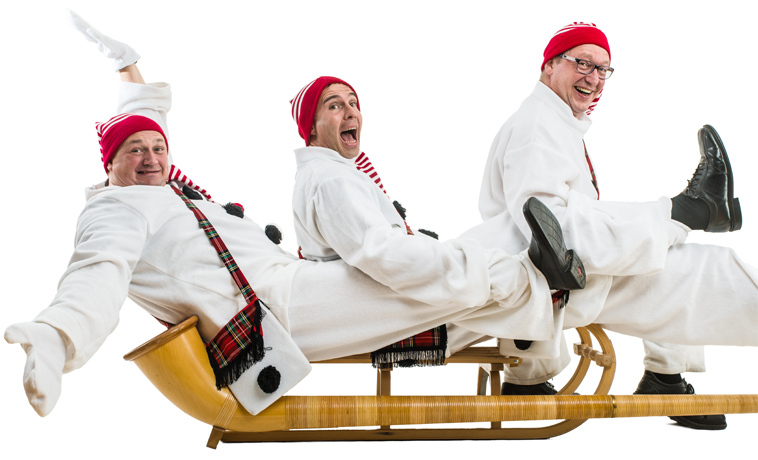 Alongside its unique musical repertoire, the band also possesses a large fund of traditional costumes and outfits to go with a wide variety of themes. 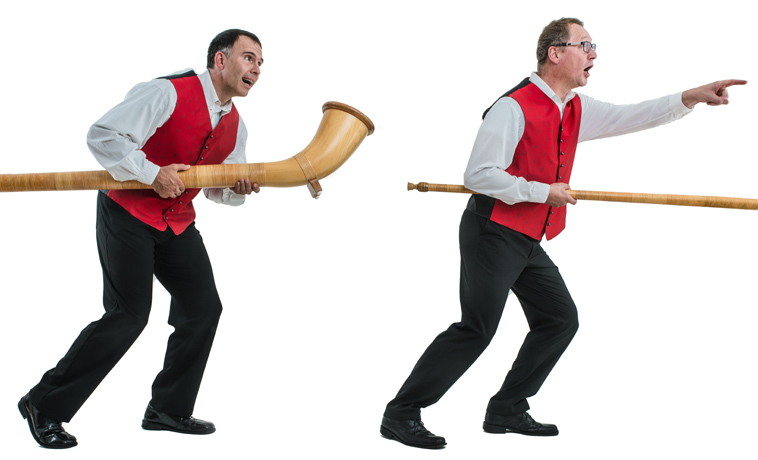 Added to this is our huge stock of experience acquired in the course of a host of performances at trade fairs, congresses, and other events. 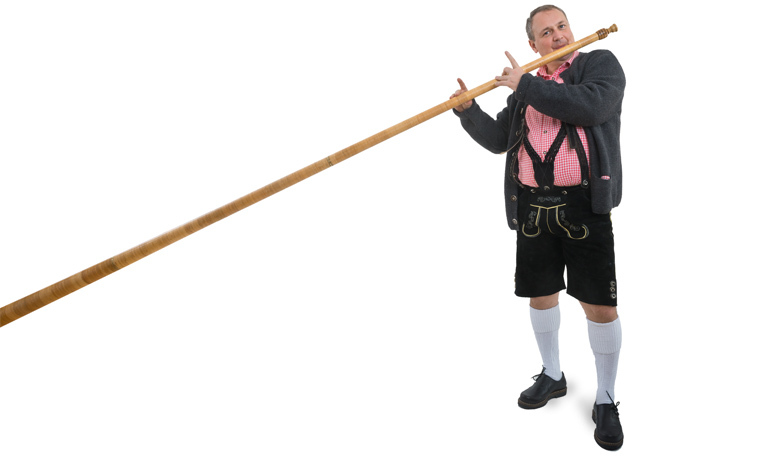 These include, to name but a few, staging an alphorn workshop for the purposes of teambuilding, performing alphorn music from various hotel roofs in the middle of a large town, holding jam sessions with other musicians (e.g., African or Brazilian drum groups), and taking part in productions for film, TV, or radio with one or more alphorn players. 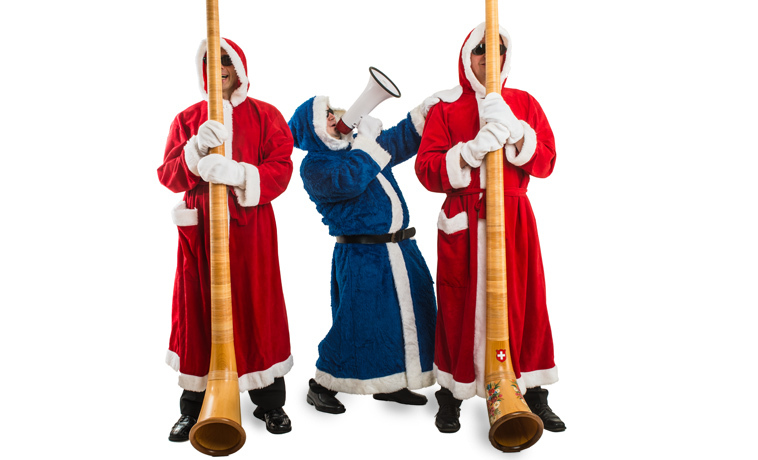 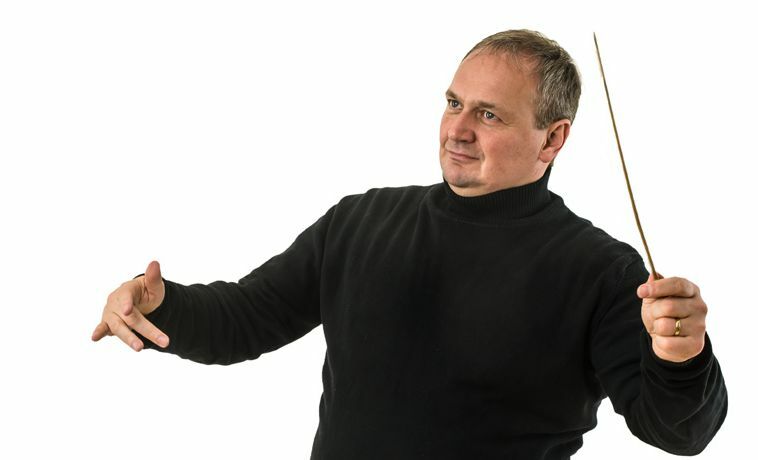 We'd also be delighted to discuss any special wishes and devise a performance accordingly. 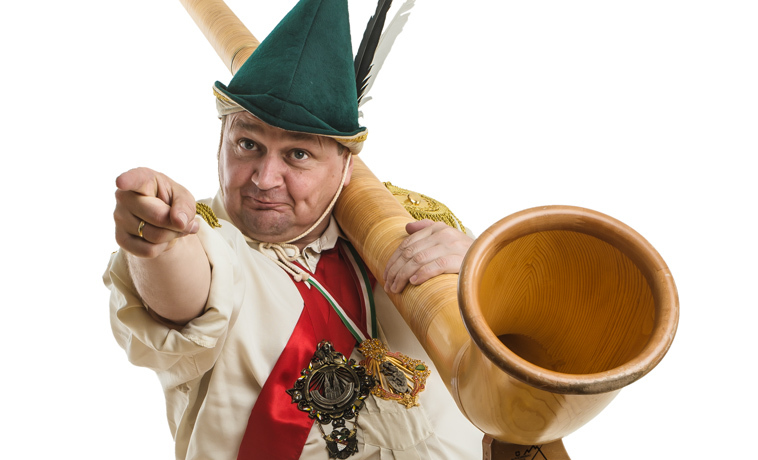 One to eight alphorn players or more!